We get lots of questions for travel advice, which is fine — we love answering questions. But it never hurts to have a good shelf of London travel books. 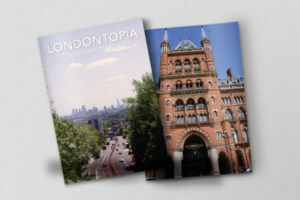 Whether you’re planning your next London adventure or just dreaming about it, it pays to have some good London guidebooks. The problem is that there are so many terrible and unhelpful guidebooks out there. So, we trolled through our own library and put together a list of the 10 London guidebooks you should own. Rick Steves is the MUST-own book for any first-time travelers to London. Rick writes in a plain and simple style, and his book features lots of real world advice on London. He writes about London travel basics as well as what attractions are worth skipping, but also provides detailed tours of the attractions worth visiting. He also provides unbiased reviews of B&B’s and hotels, which help get through all the hype around London hotels. I’ve read this book cover to cover so many times — it’s great. There’s a surprising lack of pictures, but Rick uses that as a selling point. He’d rather fill it with content to help make your trip better. This book is on the opposite end of the spectrum as Rick Steves’ guide. This book features a lot of hype about travel in London, but that’s not necessarily a bad thing. My favorite feature of this book is the hundreds of full color pictures. While the information is useful, I find the pictures most useful to help visualize and find places I would like to see and things to do. It’s a weighty tome because of all the pictures, but it’s definitely worth owning and definitely helps with dreaming of London. I reviewed this guidebook a few years ago on Anglotopia, and I still love it to bits. It takes the guidebook formula and turns it on its head by presenting things to do in London by the time of day — some free, some cost money, but many are very cool. Lots of the ideas in the book are favorites of locals, so it’s a good way to get off the tourist track and experience London like a local — which is what it’s all about. Another unique way of looking at London. England’s capital can be a loud and confusing place, especially to first-time visitors. Quiet London provides ideas for places to see and things to do that offer a quieter take on London and help you digest the city if it’s overwhelmed you. From cafes and bookstores to cemeteries and places to meditate, this book is another must-have filled with lovely pictures! One of the mistakes I made on my first few trips to London was solely relying on the Tube to get me around. Central London is actually very compact, and you can walk a lot of places. There’s so much to see and do by walking. You have no idea what you’re missing until you do it. Walking London is a nuts-and-bolts guide to various self-guided walking tours of central London. It features helpful descriptions, clear maps, and lots of pictures to help you navigate London’s labyrinthine streets. This isn’t really a guidebook, per se, but it’s a fun summary of hundreds of interesting facts about London that will help inform your trip to the city. It features trivia about everything from people, places, sports and much much more. It’s fun to read just for all the interesting facts. This is not a guidebook at all, but it is something anyone who travels to London should read. This is by far the definitive and most interesting history of London yet written – at least that I’ve read. It’s a massive tome that attempts to provide scope and details to London’s 2,000-year history. 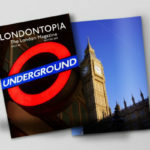 Lonely Planet writes excellent guidebooks, and their London book is no exception. Light on pictures but packed with information, it’s a great guide to the things that Rick Steves’ book leaves out and the DK book doesn’t cover at all. Lots of real world advice from real travelers. It’s like a blog in book form. This map is a couple years old now, but it’s by far my favorite map of London. It folds nicely into a little square that fits in any pocket. It’s laminated and durable and features a great detailed map of Central London. I used to spend hours unfolding this map and staring at it — learning London’s streets. It also has a Tube Map that’s handy as well (though now the Tube Map is a little outdated). 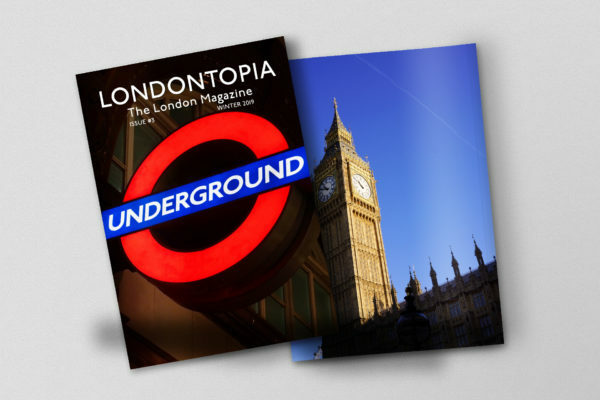 We’re a little biased here, but last year we wrote an eBook called 101 London Travel Tips that features many great tips that the guidebooks leave out. 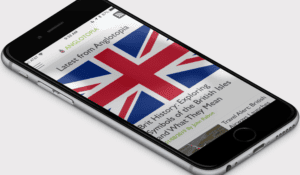 It’s completely free if you sign up for Anglotopia’s newsletter. Click here to get 101 London Travel Tips. What’s your favorite London Guidebook? Let us know in the comments! I love TIME OUT LONDON and the other various TIME OUT companion guides on London — TIME OUT EATING AND DRINKING, TIME OUT BARS AND PUBS, etc. And I never, EVER leave home for London without Michael Middleditch’s LONDON MAPGUIDE. I’ve gone through about 3 copies of this since I get it so worn out. I recently enjoyed my first trip to London, and found the iPad edition of DK Eyewitness London very handy. When loss (which happened often, and I’m normally pretty good getting my bearings), I could bring up the DK maps on the large iPad screen and usually re-orient myself, rather than having to use my iPhone’s data roaming allowance. Ah yes but if you don’t want to carry a book around with you – our pocket map suggestion works great. I also have to include the TIME OUT “1000 things to do in London for under £10”. It’s a massively rich tome of creative things to do. Even as a Londoner I’ve discovered new parts of the city thanks to this book! I use The London Mapguide by Michael Middleditch when I’m in London. It is a book, but it’s thin and small enough to fit in my purse. I know the A-Z is generally the one people suggest, but I was very happy with my Mapguide. I also like to pick up the latest issue of Time Out London at the station once I arrive. As for travel bookstores, I haven’t been to the one in Nottinghill, but I really enjoy Stanford’s Travel bookshop in Covent Garden. That’s one of the handful of shops I visit every time I’m in London along with Hatchards, Dress Circle, and Forbidden Planet. The one in Notting Hill is actually closed now. Unable to find 24Hours book. Do you have another link? Sadly, it’s out of print so it probably very out of date by now.